Practical Car Hire and Van Rental UK is the fourth largest vehicle rental company in the United Kingdom with over 165 locations situated throughout the UK and EIRE. 4x4 and Disabled Access Cars! Various 3.5 - 7.5 Ton Vans! We provide airport car and van hire at most international and regional airports. These include London Heathrow, London Gatwick, Aberdeen, East Midlands, Birmingham, Cambridge, Newcastle and Manchester. Renters can choose their hire vehicle and book online using our sophisticated online booking engine which allocates a vehicle in real time. No stress or disappointments with a 3 step easy booking process. 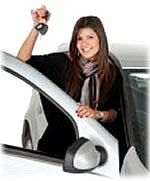 Unlike some other rental companies you are guaranteed a vehicle when you book and should anything drastic happen and if we are given enough time, we can cover any bookings with a widespread support network. With this reassurance in mind try out our booking service now. It's second to none and won't let you down! We provide UK wide search facilities to include location and vehicle finders so you can locate a Practical outlet near you to fulfil all your requirements what ever they might be. Deliveries to train, coach stations and bus depots can also be arranged as well as to hotels, guest houses, businesses and private addresses. Check with your supplying rental location for more information. In some instancs we cover ferry terminals and ports so view our additional services by branch to find out more. Most of our rental outlets provide Meet and Greet and Out of HoursServices. Even if they don't satisfy your search requirements, send them an enquiry because most are flexible enough to adjust and enable you to secure your desired rental booking. Practical Car and Van Rental, Head Office, Practical House, 21/23 Little Broom Street, Camp Hill, Birmingham, B12 0EU.